Projects - Focus Electrical Sales Inc. 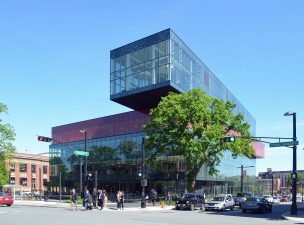 The Halifax Library, completed in 2014, was a very exciting step for “out of the box” design which was sure to generate plenty of conversation and excitement in the region. The lighting was unique in that it was our first project in our region that utilized a large scale lighting approach using 4” wide linear luminaires throughout the building, blended seamlessly within the architecture of the linear ceiling system. That product has become more commonplace now, especially with the advent of LED technology, but this was very unique when construction began in 2010. Also unique was the control approach for the lighting – the concept was to have multiple lighting zones in all open spaces, including general areas. Our nLight System was a perfect fit for this design concept. 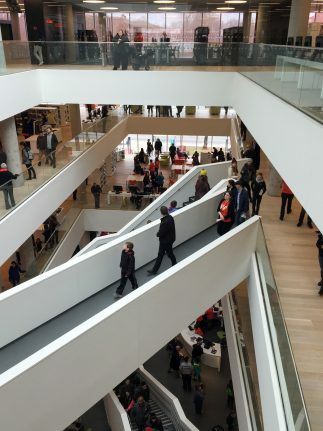 We worked closely with the Electrical Contractor to ensure that they had a high level of comfort with the system, both in functionality and architecture, and the end result was highly satisfying to all involved. 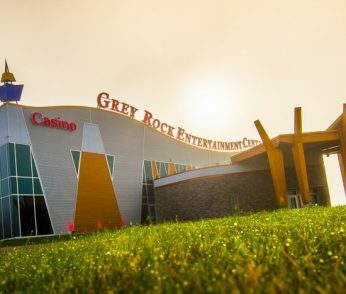 Focus supplied the majority of the LED Light Fixtures and Control System on the new Grey Rock Casino in Edmundston New Brunswick, built in 2015. We worked hand in hand with an Architect from Quebec and an Electrical Contractor in Edmundston to help design and commission our complete lighting solution. 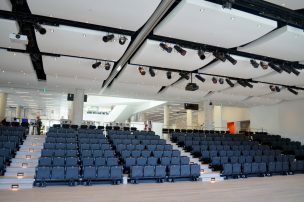 This facility has a large gaming area with lounges and two restaurants, as well as a spacious electronically-operated Bingo Hall which will accommodate over 400 people. 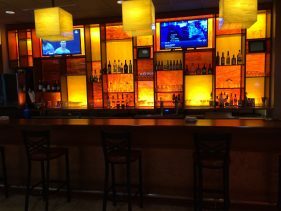 Special lighting features include backlit bars and water features, and color-changing flood lighting on the Casino exterior.